Farrar, Straus and Giroux, 9780374533632, 288pp. 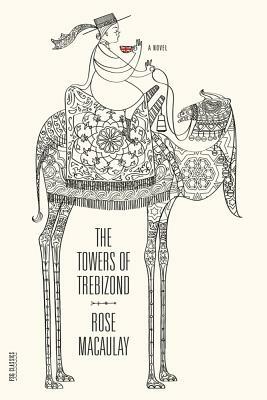 Hailed as "an utter delight, the most brilliant witty and charming book I have read since I can't remember when" by The New York Times when it was originally published in 1956, Rose Macaulay's The Towers of Trebizond tells the gleefully absurd story of Aunt Dot, Father Chantry-Pigg, Aunt Dot's deranged camel, and our narrator, Laurie, who are traveling from Istanbul to legendary Trebizond on a convoluted mission. Along the way they will encounter spies, a Greek sorcerer, a precocious ape, and Billy Graham with a busload of evangelists. Part travelogue, part comedy, it is also a meditation on love, faith, doubt, and the difficulties, moral and intellectual, of being a Christian in the modern world. Rose Macaulay (1881-1958), born in Rugby and educated at Oxford, was created a Dame Commander of the British Empire in 1958. One of the most popular satirical novelists of her day, Told by an Idiot, first published in 1923, is her panoramic tour de force, revealing, through the eyes of the extraordinary Garden family, the social, political and religious fortunes of England from the age of Victoria to the 1920s.